Frank Ocean is one of the geniuses of our age, no doubt about it. The wait for Boys Don't Cry had us all in the palm of his withholding hands. On Friday, Ocean released Endless, his visual album, and he is said to be releasing the album formerly known as Boys Don't Cry the same weekend. But the man we know as Ocean was not always so Oceanic. 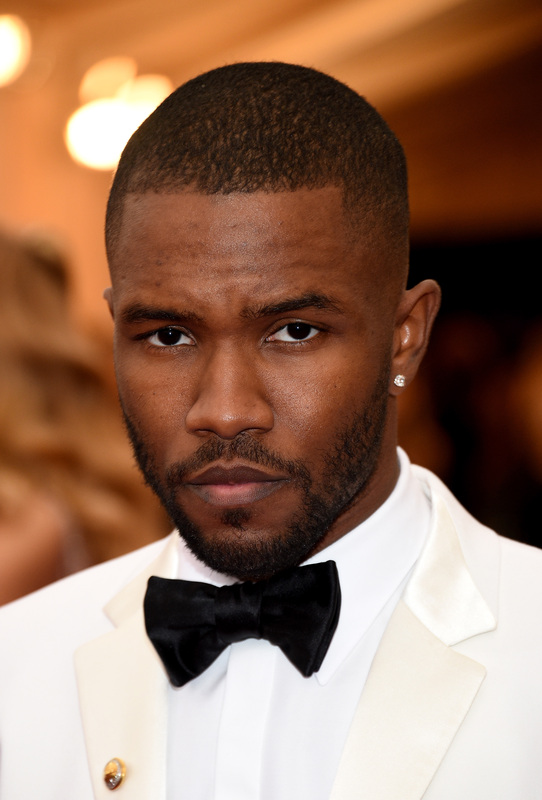 Elusive Frank Ocean changed his name. But why? The answer has to do with feeling self-empowered. Ocean was born by the name Christopher Edwin Breaux, but abandoned that name for his true identity of the hermit with the floating falsetto voice: Frank Ocean. TMZ reported in March 2014 that Ocean had filed the legal documents for the name change. Nearly a year later in April 2015, according to Vibe, the artist formerly known as Breaux was granted his wish and evolved into his final form, Christopher Francis Ocean. The year-long delay was reportedly because of some driver's license issues. Leave it to the DMV to hold back a visionary's dreams. "I changed my name on my birthday last year. It was the most empowering sh*t I did in 2010, for sure. I went on LegalZoom and changed my f*cking name. It just felt cool. None of us are our names. If you don’t like your name then change your name. I’m only a few steps into the process, so I probably shouldn’t even be talking about this, but by the beginning of summer I’ll be straight. I’ll be boarding planes as Christopher Francis Ocean." Naturally, the next question is: but why Frank Ocean? The crooner joked: "Billy Ocean is my uncle. I'm just f*cking with you. The name Frank Ocean was born. Allow me to tell you that story another time." In 2012, in a story about Ocean, Spin reported that name was partially based on the original Ocean's 11 , which starred Rat Pack members Frank Sinatra, Sammy Davis, Jr., Dean Martin, Joey Bishop, and Peter Lawford. If you ask me, Frank Ocean could easily have been crooning in a lounge in one of those heisted Vegas casinos.